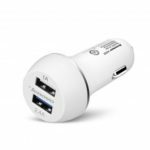 This XIAOMI MI 100W Car Charger Power Inverter is for road trips. 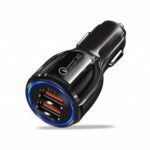 Simple to plug into the car&apos;s cigarette lighter, and enjoy 2 USB ports and AC outlets for convenient charging on the road. 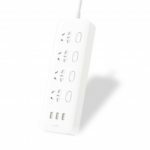 2 AC outlets and dual USB charging ports, ideal for powering laptops, tablets, smartphones and other electronic devices. 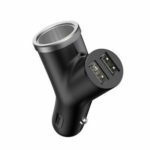 Fast charging with max 5V/2.4A output. Multi Protection, overheating, overloading, low load, short circuit, low voltage and over voltage, safer! 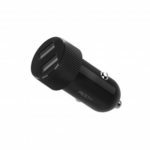 Directly plug in any 12V cigarette lighter socket, quite easy and convenient to use. Cup Shape & Compact Design, simple but elegant, delicate and attractive. Adopting magnetic type dust cover, easy to open when using, and dustproof, anti-electric shock when not in use.